• That Aunt Gladys & her sidekick CONstance are not admitting WHEN they will privatise ALL public transport - and other infrastructure - what's left to privatise that is! • ScaniaGrenda, don't call people with Intellectual disabilities idiots. • Calling politicians "monkeys". It's insulting - to the monkeys that is! Monkeys would do a better job at parliament! NSW Labor fits the bill. LNP could have if Barry didn't receive that bottle of wine. Swift wrote: NSW Labor fits the bill. LNP could have if Barry didn't receive that bottle of wine. You mean "Back Flip Barry"? Newcastle Flyer wrote: • ScaniaGrenda, don't call people with Intellectual disabilities idiots. Well in my opinion that doesn't excuse the guy from doing what he did to me and my friend. Just because you have a disability or mental-health problem doesn't excuse you from your behaviour or actions you perform. I reserve the right to call him out on he's actions, mental health issues or not, you don't go up to someone and scream in their ear or nearly jump scare them, if it wasn't me or my friend standing there it could've been another person and I doubt they would've been as kind to walk it off. Edit: I've had time to rethink about what I've mentioned, I now realised after some time to chill out what I said was wrong and I shouldn't have used a certain word, rather I was trying to figure out how to call someone out on their actions who may suffer mental health problems. My sincere apologies. Last edited by ScaniaGrenda on Sun Mar 24, 2019 7:42 pm, edited 1 time in total. Just think how would you liked to be called Idiot,mental people are prome to do anything,we should ask them,do you need any help ,if so what. Again disability or mental health problems doesn't excuse behaviour, please stop trying to think that just because one suffers a condition or problem their behaviour and any actions they perform is justified and anyone that calls them out is the bad person. I think I should I be counting my stars the person wasn't more unstable and perhaps carrying a knife. I'm not going to bother arguing further on the case, I've stated my points, please respect them even if you disagree with them. Edit: After having some further time to think what I've said, I've realised I shouldn't have used the term "idiot" and it wasn't my intentions to get this way, rather I was trying to word out how to call out a persons actions who may have poor mental conditions behaviour, My sincere apologies I take back what I said. How about scum? F*** them, especially if they stop taking their medication. The number of times the SCV/SCRs haven't been working on buses. Appalling really. I think I found this in Bunnings today. Very unusual. They wanted $25 for it. I think it's the chime for the V2 CB80s. • Oh no, here come the coughers-without-covering-their-mouths again! TA3001 wrote: SCV/SCRs are what exactly? • Political parties campaigning at events. Another example of what I described in the previous post... what is with some folks? There a thousands of different doorbell tones out there, yet they have to pick this one! • To the news woman that read the news, it's pronounced "My-oon-a", as in Myuna, not "Mun-YA". • Andrew CONstance as he's roll of transport minister has expanded to include roads, but then why was their separate rolls for transport and roads. • Passengers that hog seats with prams that are only filled with luggage, and not a baby. It shouldn't be allowed and the driver/transport inspectors should be allowed to check. Let me guess, the PC Brigade would be against that?? • Giving babies in prams junk food. To the news, the Manly Class ferries are not part of Manly Fast Ferries. Still not knowing why specific Torrens Transit buses with different chassis/manufacturers produce this truck like sound at around 45kph and higher. It is most common with buses from a bus storage area on the corner of Grand Junction and Port Road. Particularly 1501-1515 and several Scanias including at least one K230UB that never sounded like this before it's transfer. What encouraged me to post this was hearing a similar axle note on a 2011 built Southlink Scania K230UB today of all things, but it wasn't highly audible at 80kph, unlike 1417. Would the tyres be likely to have any contribution to this? A Dominos Pizza employee being reluctant to hand me a receipt upon request, after handing over my cash on a pizza order -after up selling me to a larger size! It's a standard right as a consumer and he should have got me one without my having to insist. All the riff raff out tonight as I ordered said pizza. 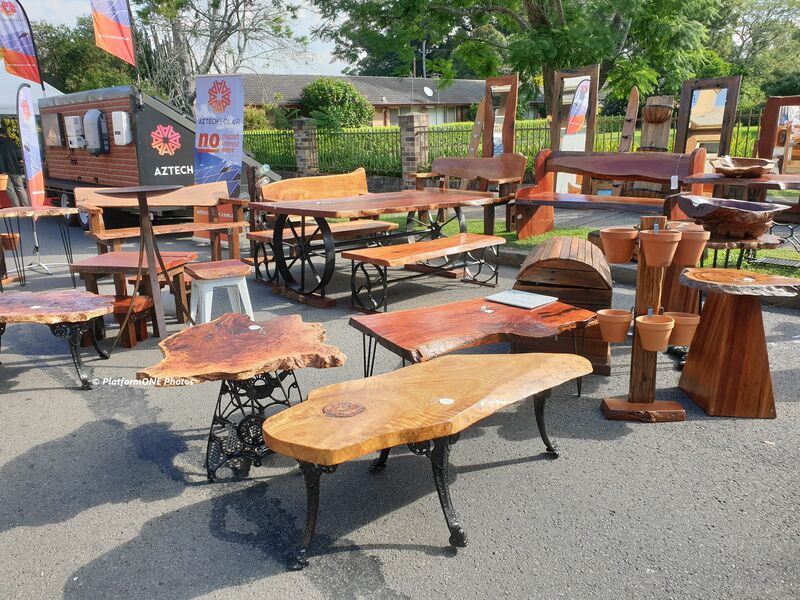 To that stupid couple that have a stall at Steamfest at Maitland showing off your hardwood furniture ON A PUBLIC ROAD AT A [b]PUBLIC FAIR[/b]. If ya don't want photos of your furniture being taken, then (YELL) DON'T DISPLAY IT AT A PUBLIC FAIR. And yes we did report them. They attempted and went mad at not only me, but another person, and bullied both of us by standing in front of both our cameras. They claim they have a right to stop people taking photos of their hardwood furniture. Both sides said why don't you get the police or security. But they are at a public event. Last edited by Newcastle Flyer on Sat Apr 13, 2019 6:46 pm, edited 1 time in total. Tell them they and their belongings have no right to not be photographed in a public setting as upheld by the high court. ^^ At Swift, the organisers, management, or whatever this official is called said he's going to get event organisers to "talk to them". Yeah sure we BOTH got mad, but as I stated before, why display them at a PUBLIC fair if ya don't want them photograph. OH WAIT ON, they only said "NO PHOTOS," nothing about not taking videos! If you zoom the picture to that "notepad" looking object here: https://i.imgur.com/Kz3glaL.jpg it shows "NO PHOTOS PLEASE We work extremely hard to stay unique". It was laying down on the table. Doesn't matter, that sign has no power in a public street - be it public event or not. Last edited by Newcastle Flyer on Sat Apr 13, 2019 7:30 pm, edited 2 times in total. Newcastle Flyer wrote: ^^ At Swift, the organisers, management, or whatever this official is called said he's going to get event organisers to "talk to them". You don't get it. They cannot make that order. It seems you need to fold a printout of the laws regarding photography to show these people who think they know the rules as they see fit and set them straight. I do get it, and they didn't stop me. As I said, I went to the organisers so they can speak to them. I've edit my previous post to show what they ATTEMPTED people to stop filming, and edit it to say that their sign has now power in public. Some people will try and put it over you because they resent being recorded and will try and come up with a credible sounding argument against "your right" to record in the hope you aren't informed enough to refute them. Australians are the biggest bullies and think they can make any orders they feel like at the time.